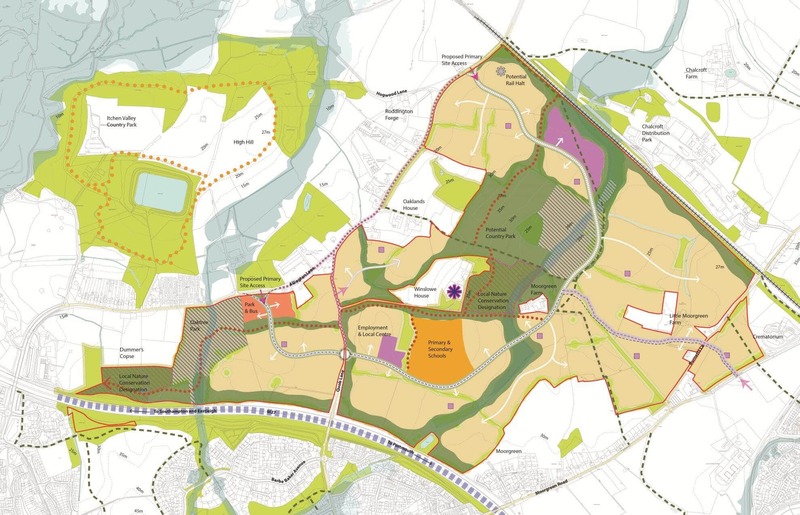 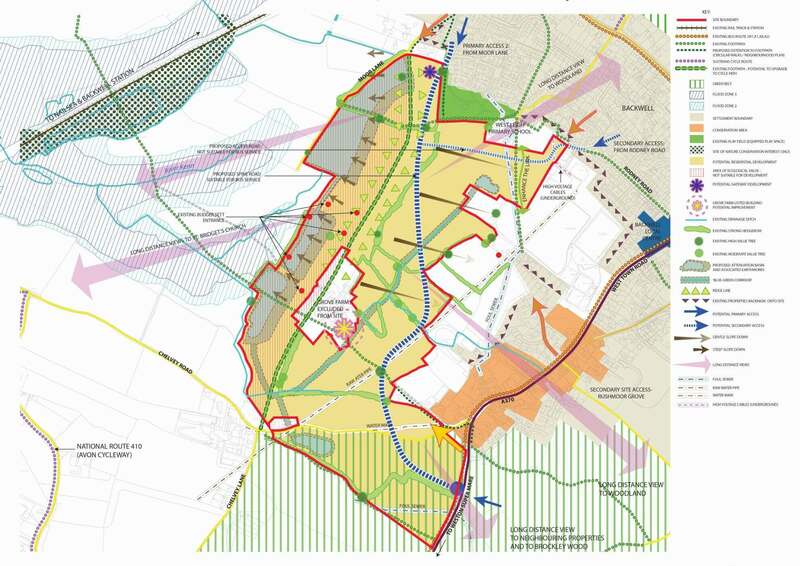 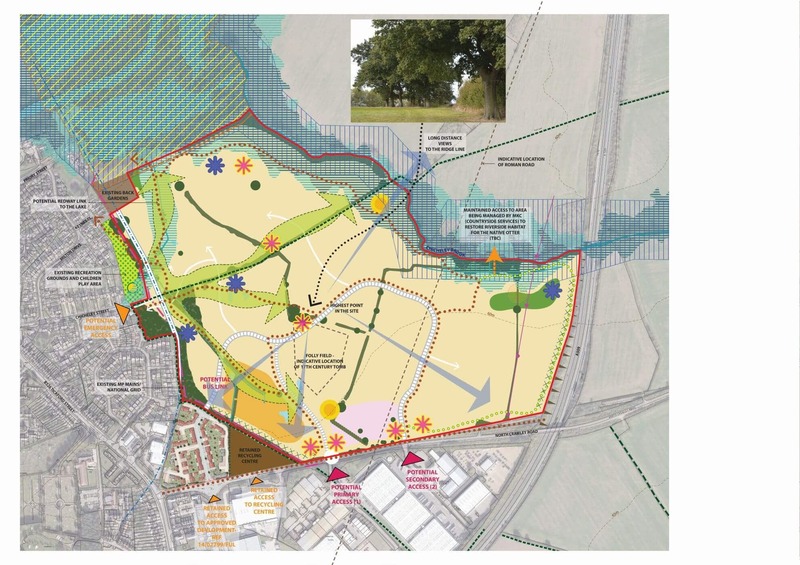 The proposed scheme, situated partially within the green belt, responses to a number of ecological constraints, and utilises the long-distance views out towards the open countryside and enhances wider connectivity. 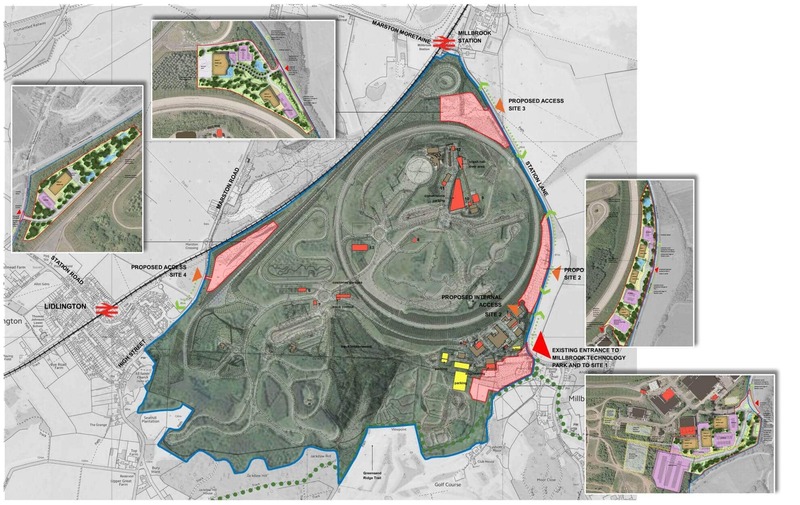 The high profile setting for the proposed development within Millbrook Proving Ground, its proximity to the Greensand Ridge National Trail, and its exposure to long distance views from the sites’ surrounding, prompted a highly sensitive design approach to landscape and ecology, resulting in well screened design proposals. 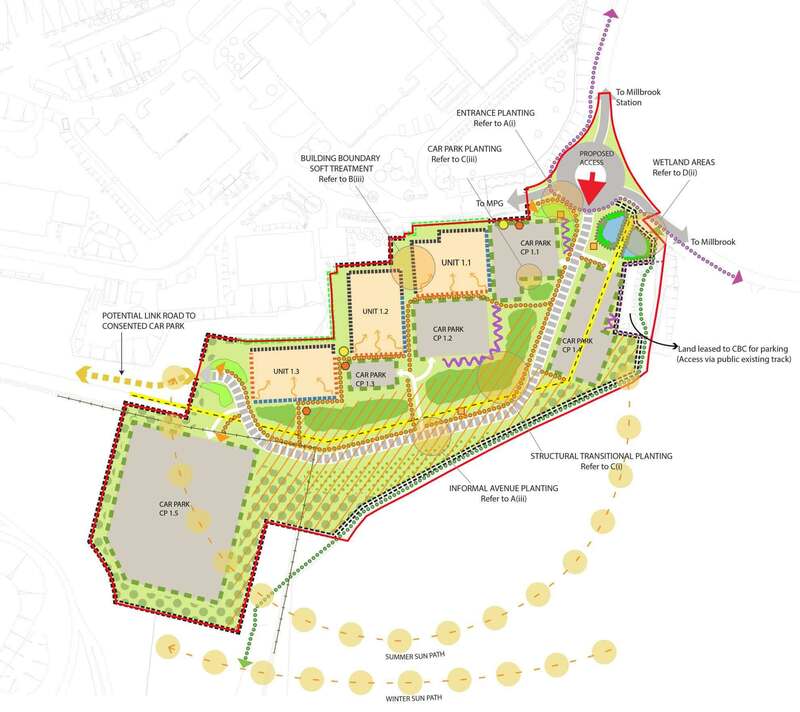 A comprehensive Design Code has been submitted subsequent to obtaining the planning permission, as part of the discharge of conditions. 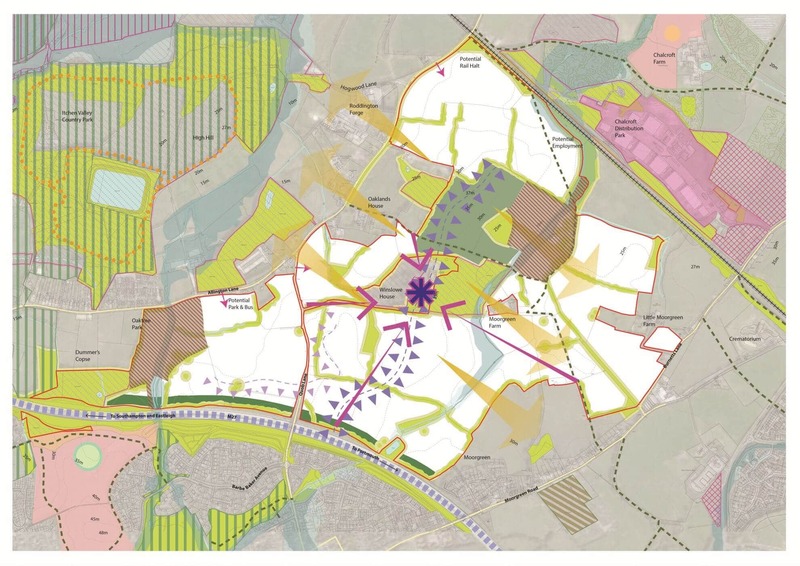 The Design Code, accompanied by a set of regulating plans, was endorsed and supported by Central Bedfordshire Council. 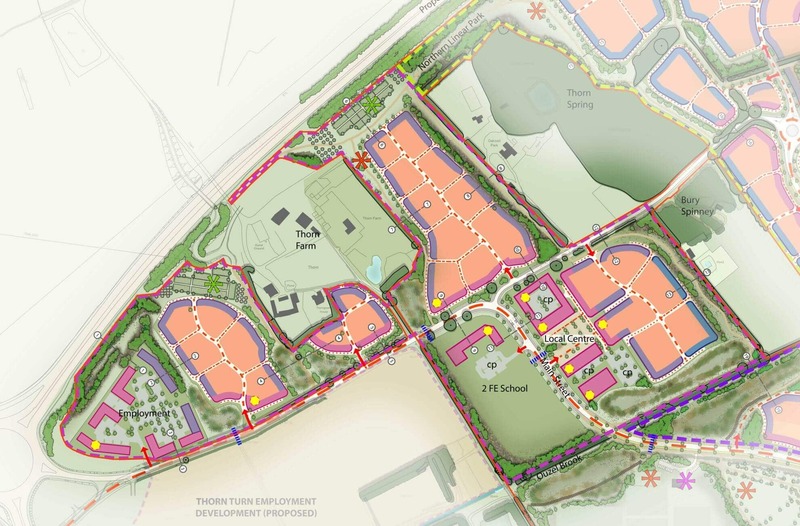 mixed use scheme – circa 900 dwellings, local centre and community facilities, including a school, sports centre and sports fields and a Continuing Care Retirement Community area. 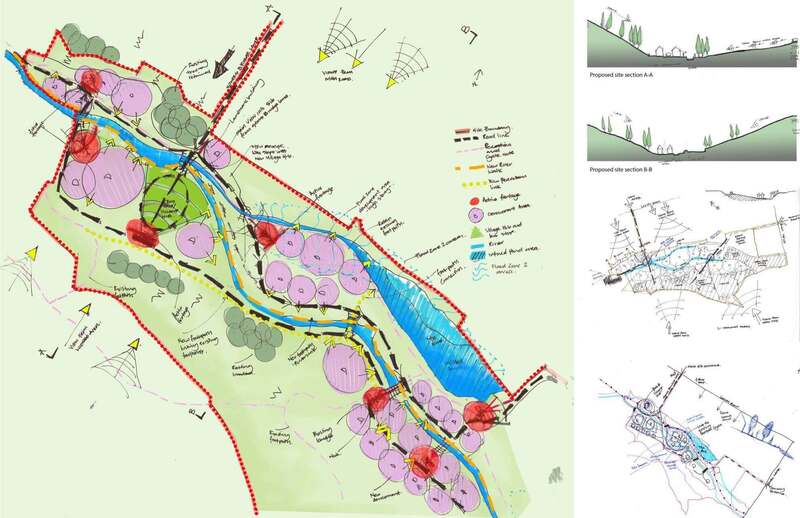 The proposed scheme weaves into the existing urban fabric and delivers a sustainable settlement, improving the area’s connectivity. 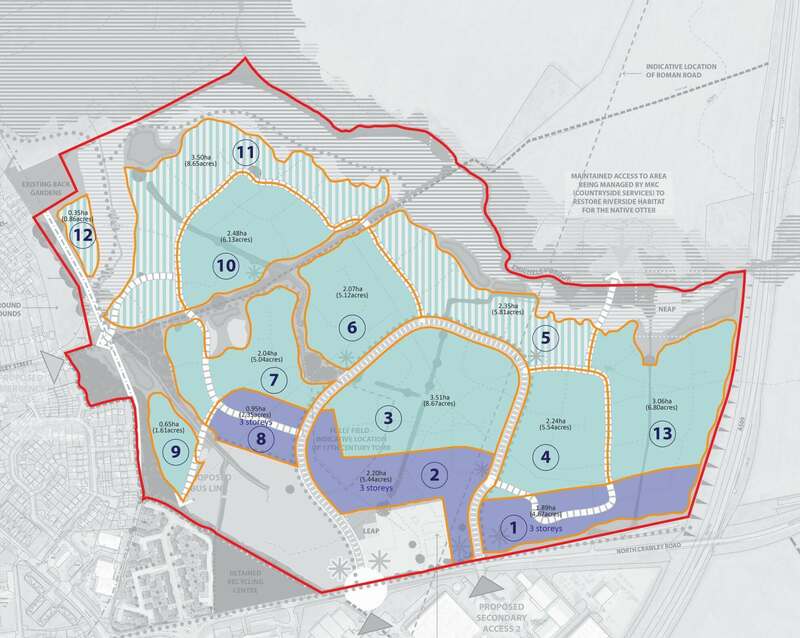 The scheme has been consulted on at a public exhibition in March 2016, as part of the pre-app process leading to an outline planning application. 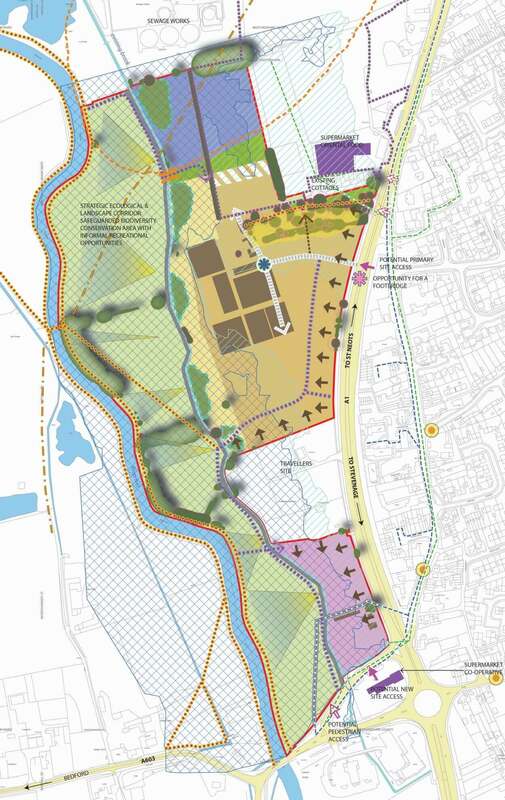 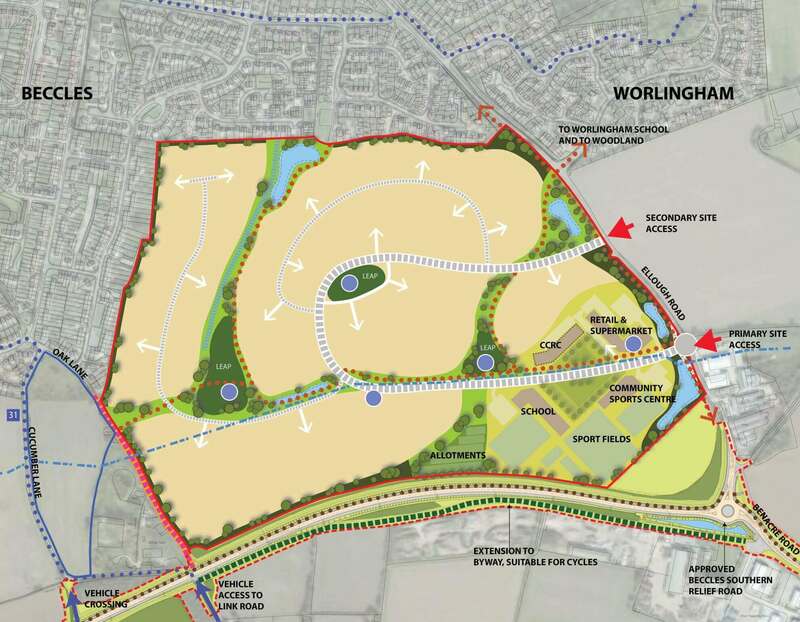 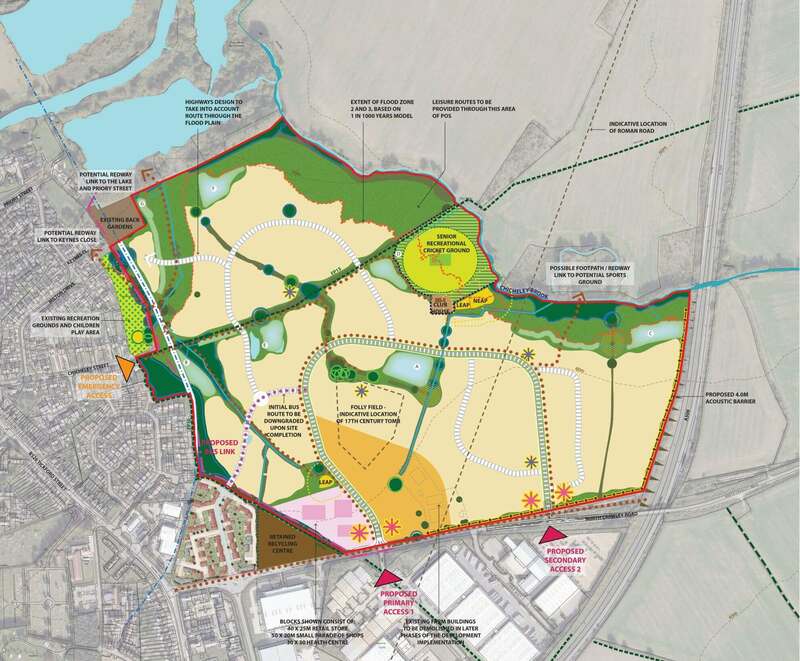 mixed use scheme – up to 1,850 dwellings, employment land, local centre, including retail and community facilities, public open spaces with associated sports pitches and natural wildlife areas. 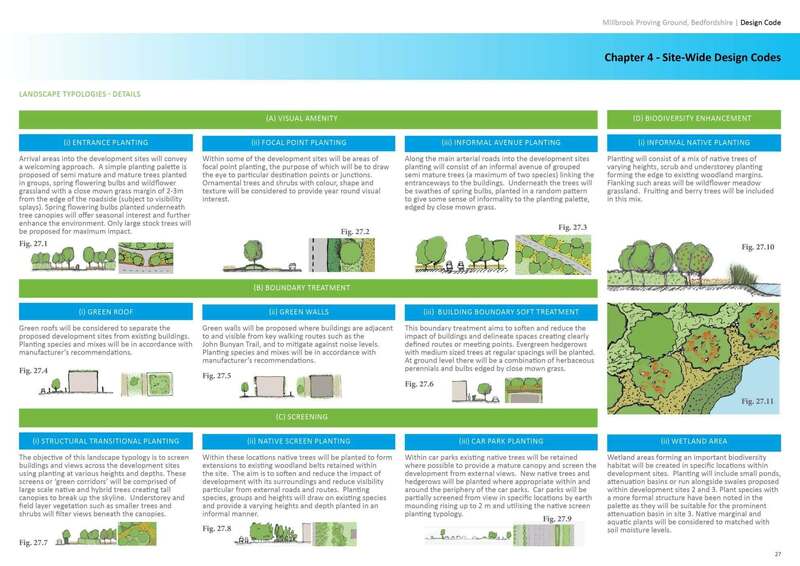 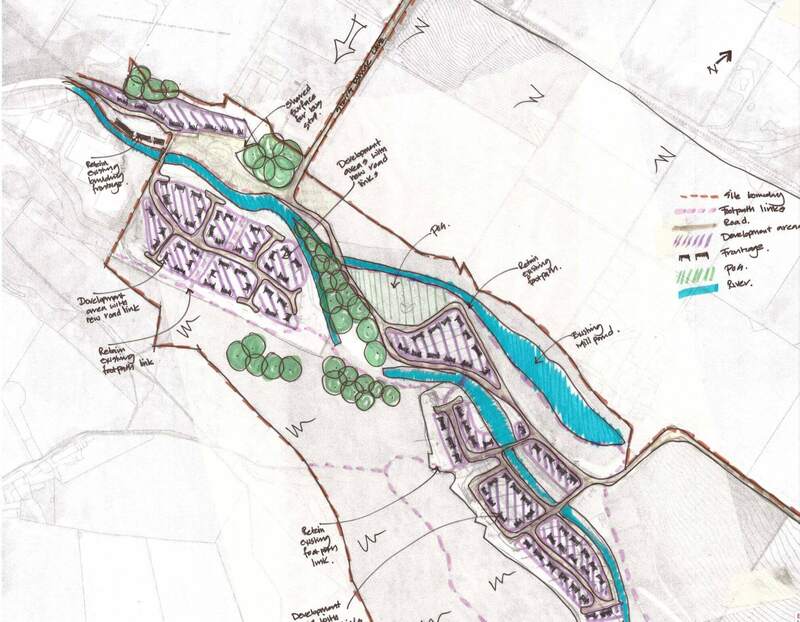 Outline planning application with all matters reserved except access – permission granted May 2015; BE1 Architects were also commissioned to produce a comprehensive Design Code. 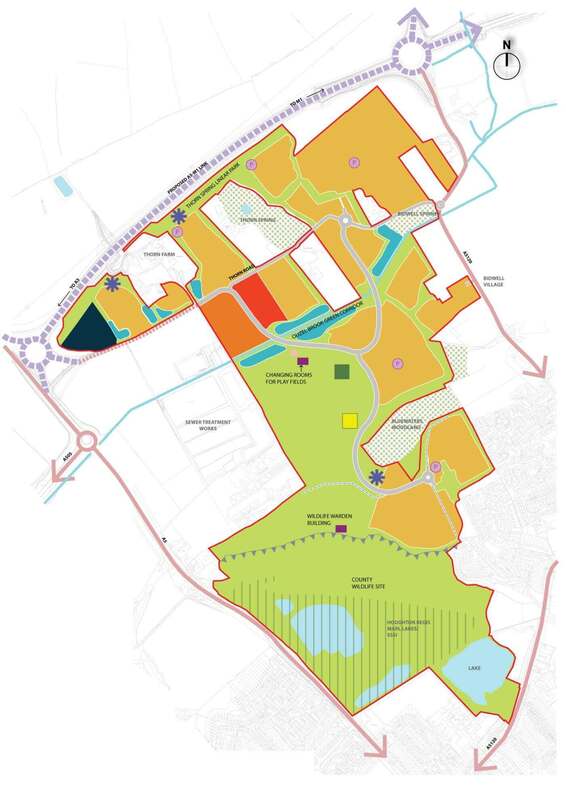 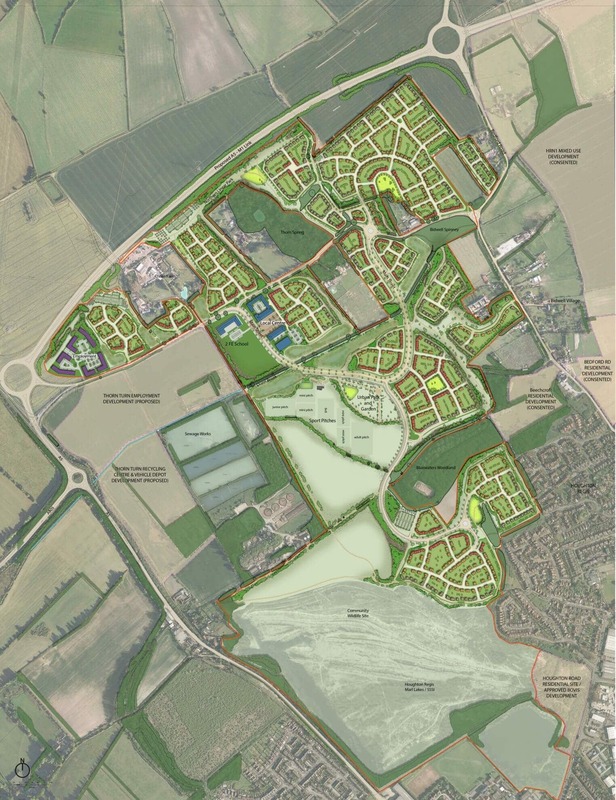 Outline planning permission was granted in Nov 2015 for a scheme containing a major scale development on a site which forms part of, and benefits from the approved Houghton Regis North Framework Plan. 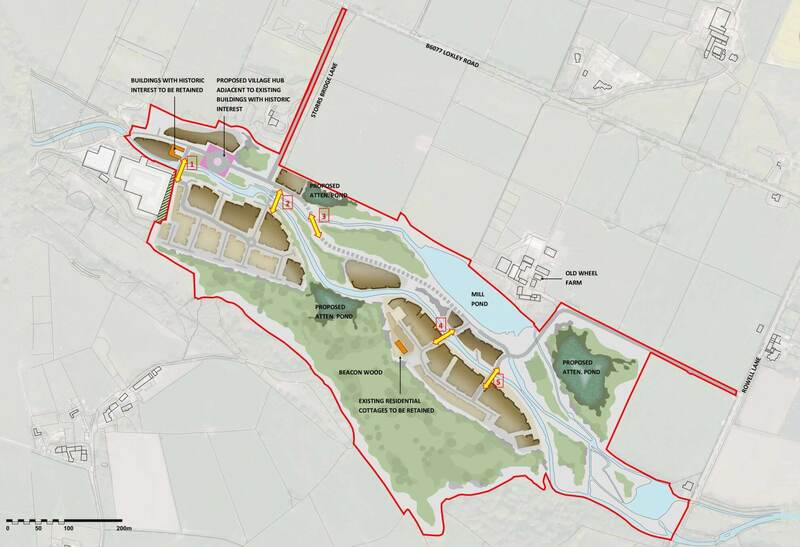 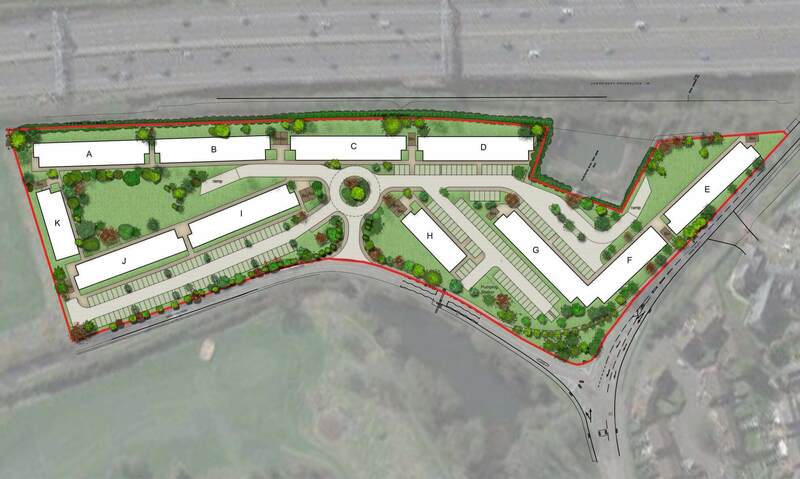 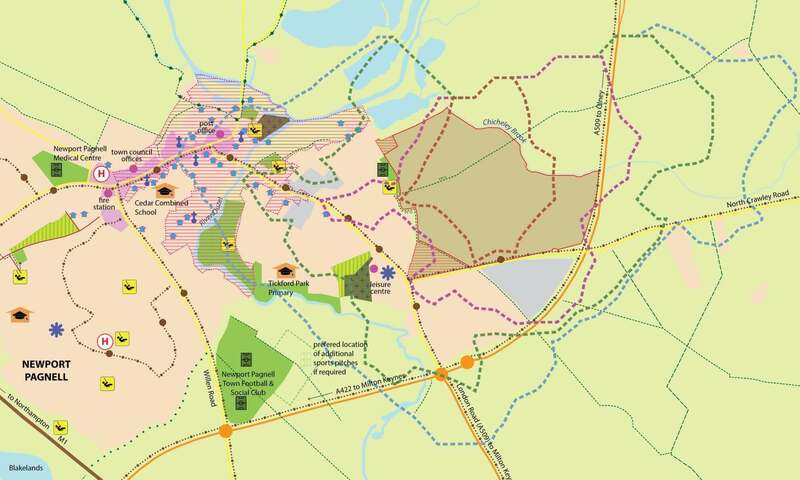 The site presents a unique opportunity to deliver a self-sufficient community, benefitting from enhanced natural features and supported by new on-site facilities to sustain the proposed development. 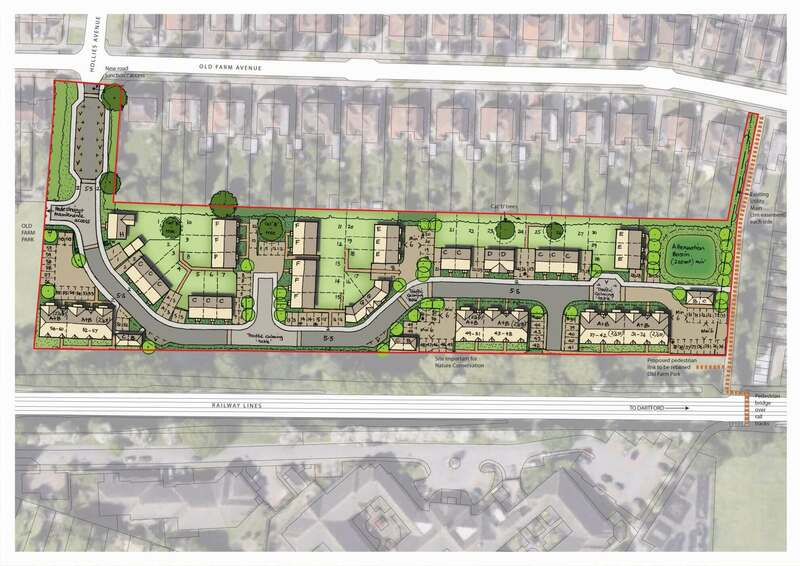 The site was allocated as part of the Neighbourhood Plan. 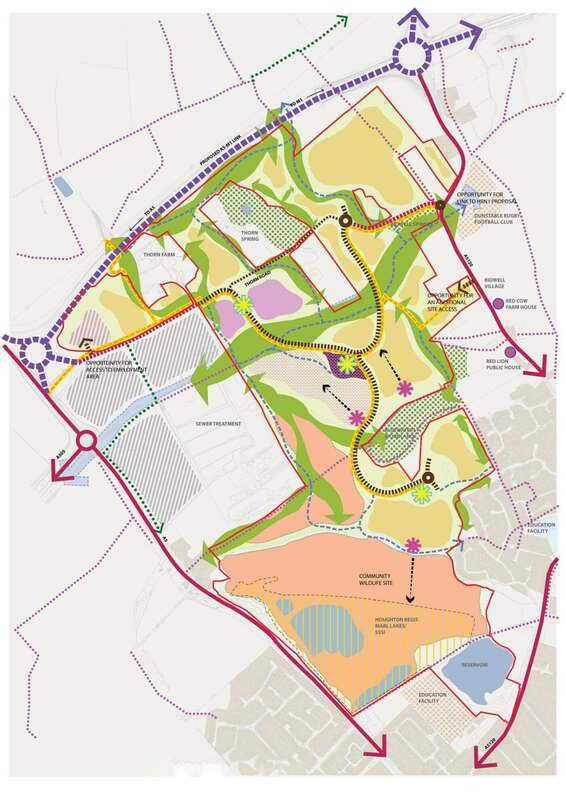 Interactive and intensive engagement with the Parish Council has taken place to inform the proposed scheme. 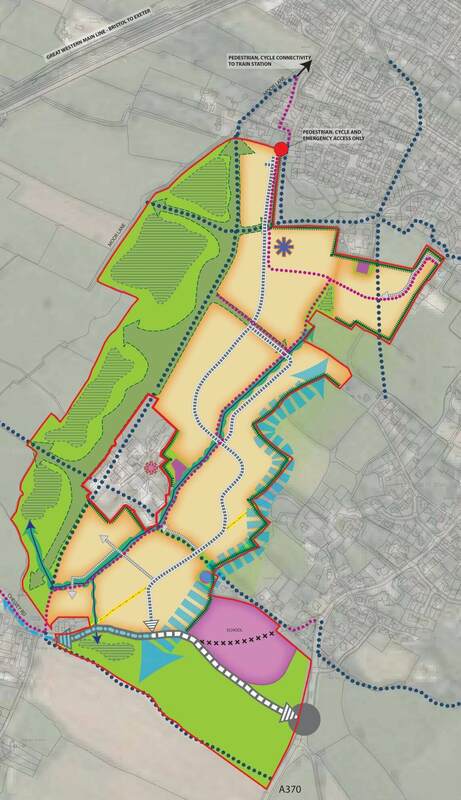 The main purpose of the engagement process was to discuss the implications of bringing the initial vision for the area, as set out in the Neighbourhood Plan, for a sustainable development scheme, which takes into account the constraints and opportunities identified as part of specialists’ studies and detailed site appraisal. 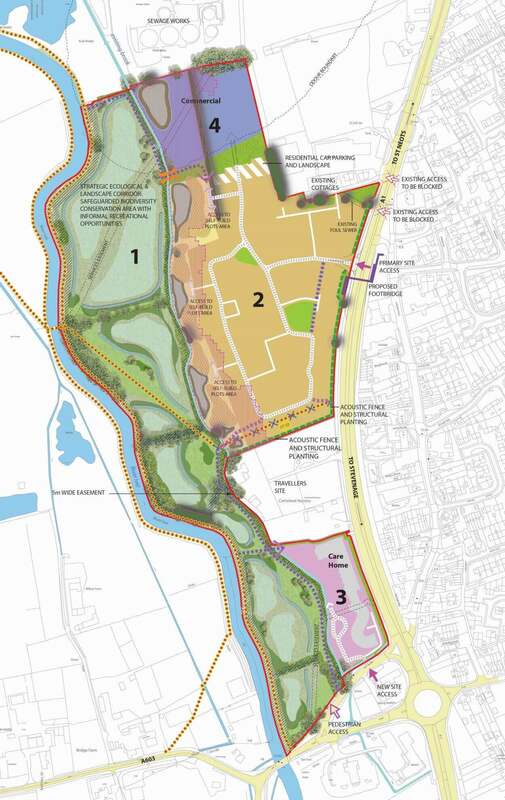 The proposed scheme on this previously developed land situated within the green belt took advantage of the extensive views across the valley, while taking into consideration the physical constraints of steep topography and flood plain. 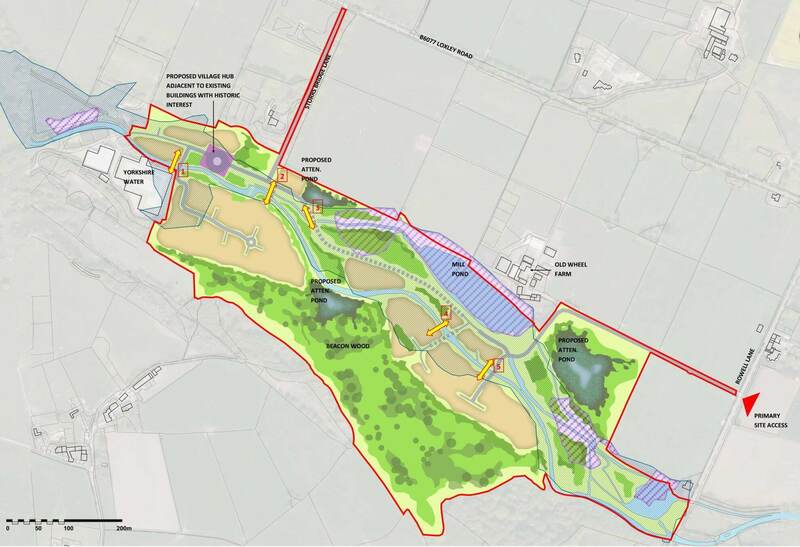 The site lies to the north of the rail track and along a SINC – Site of Importance for Nature Conservation identified by the London Wildlife Trust to cover a wide buffer of wildlife habitat. 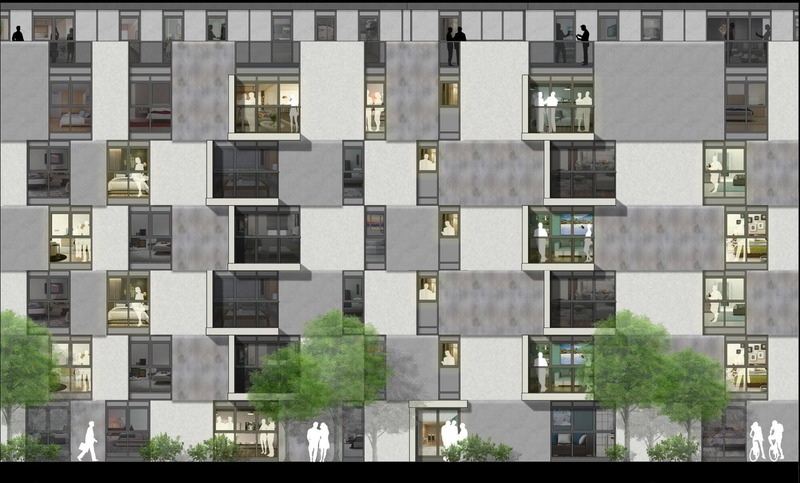 The proposed scheme utilises the SINC as a visual amenity asset to the new dwellings. 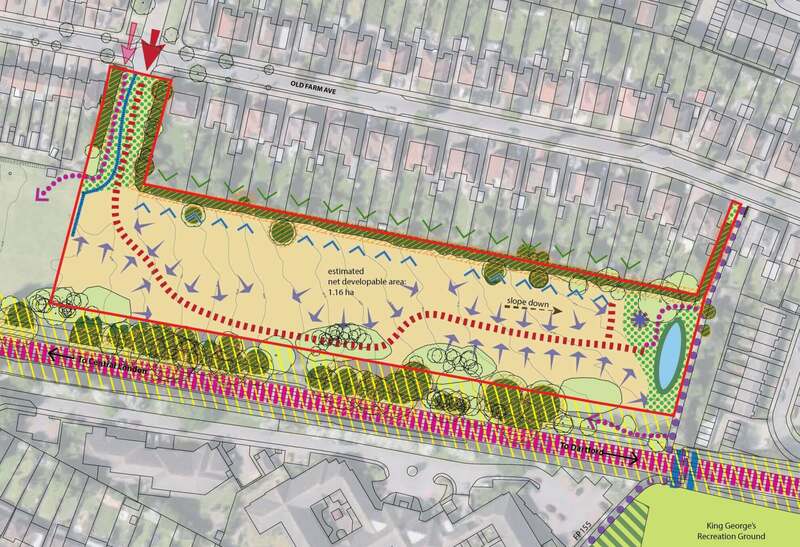 The green space of Old Farm Park to the west of the proposed residential scheme was incorporated into the design proposal as an additional amenity landscaped public open space. 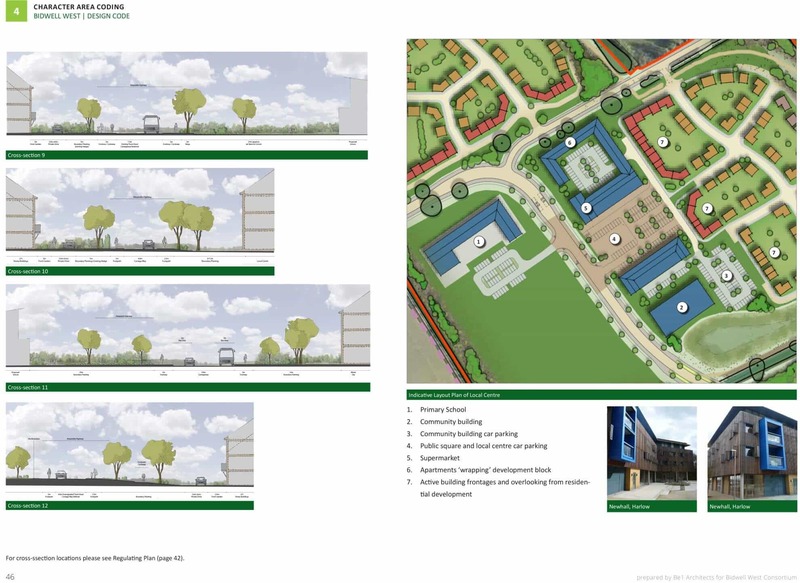 The residential scheme, together with the landscaped park to the west, provide a permeable environment with improved pedestrians links. 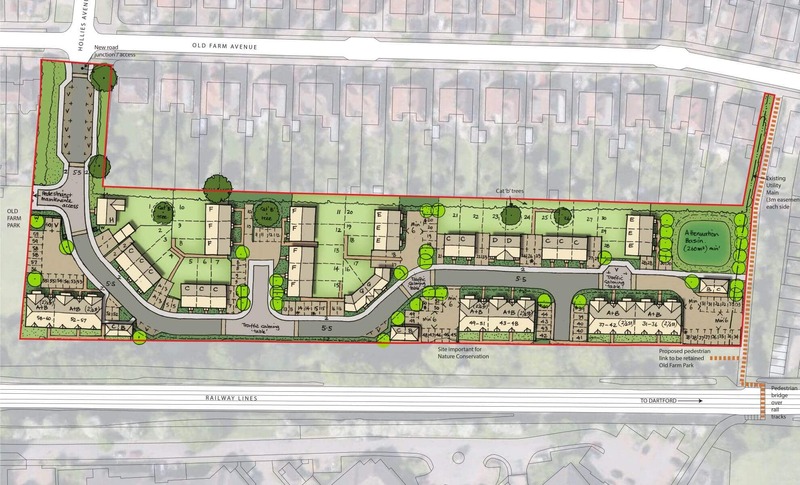 Flanked by the M1 to the West and a local service road to the East, the development on this site has been designed to accommodate more than 400 one and two bed residential units for the Built to Rent market. 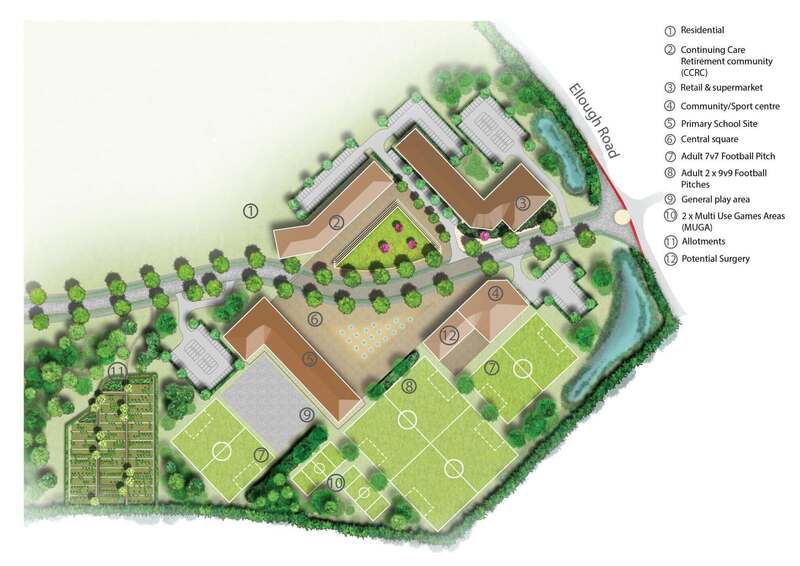 Linear buildings flank the M1 to create sheltered court yards with views out in to the open countryside. 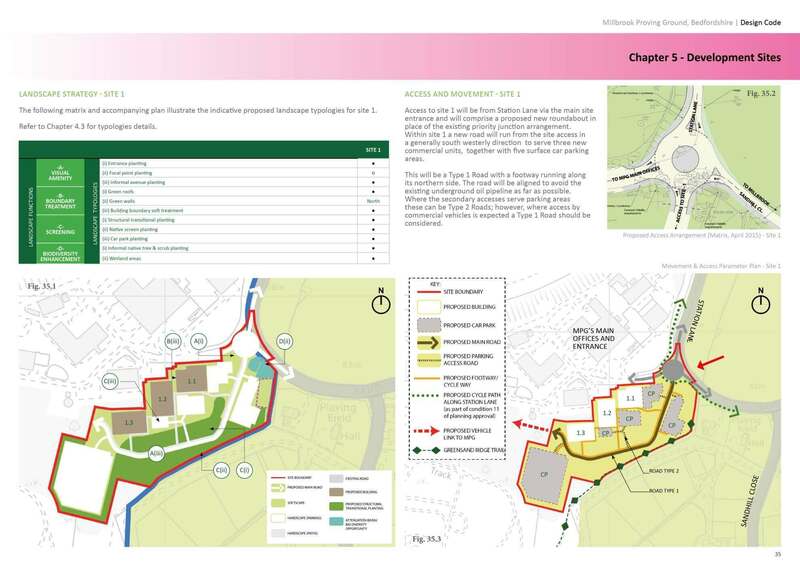 The route of an underground gas main has been designed as the main access route across the site with surface parking. 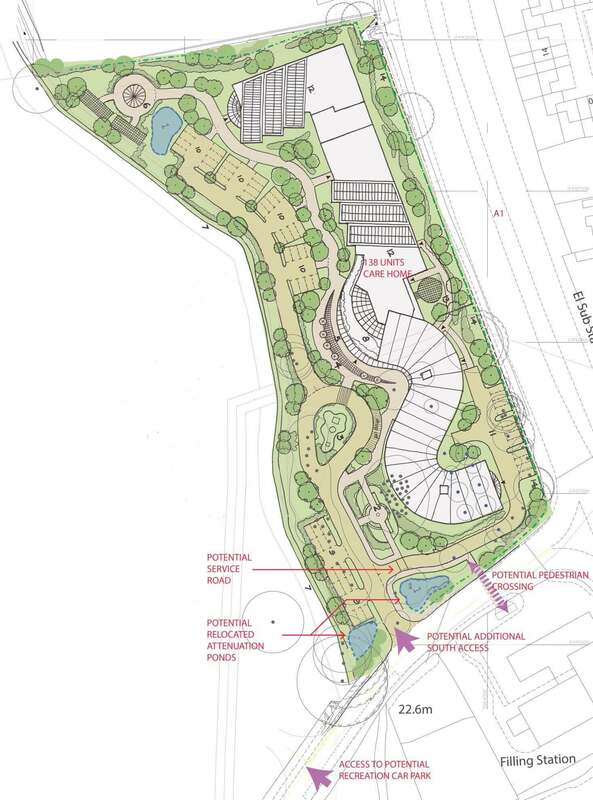 A large basement car park releases a large part of the site as a landscaped amenity area. 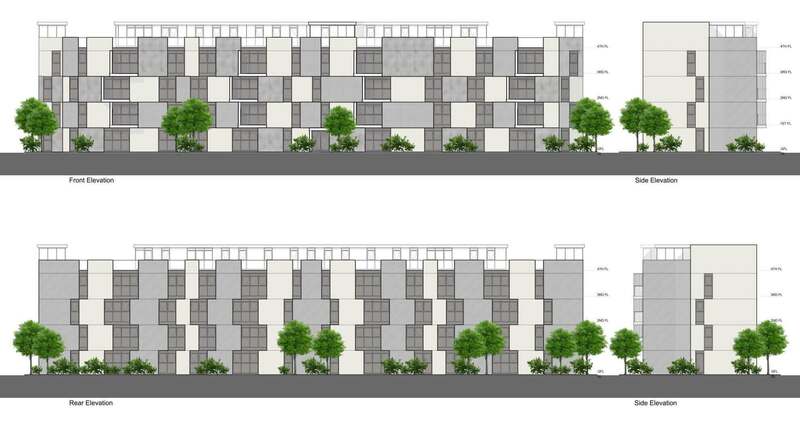 The residential buildings have been designed to allow for modular construction, resulting in permeable buildings that can respond to the different conditions around the site.